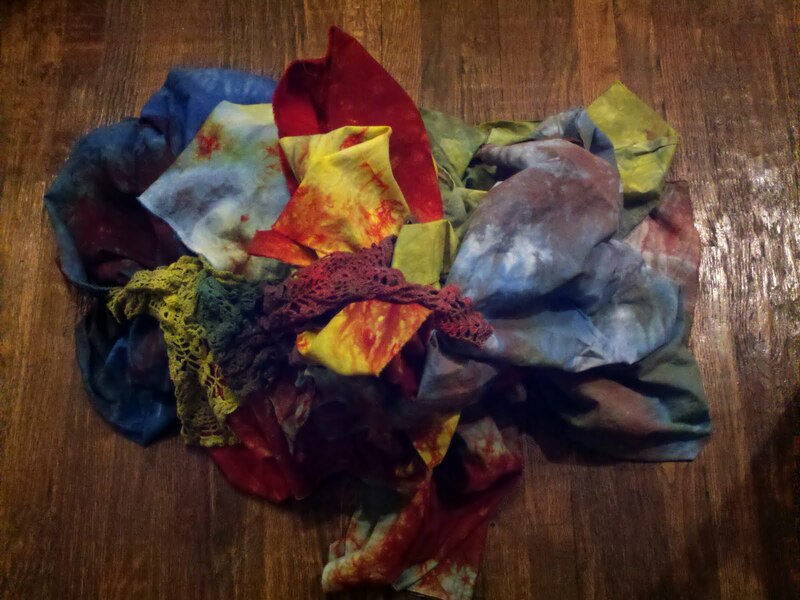 Studio Jules Art - Blog: Dye Day! Today was great fun, I used my dye sink for the first time and oh how sweet it is! To be able to have a double sink and be able to mix several colors at once. I had an assembly line going! There are fabrics in the wash and these just came out of the dryer, I know it is hard tell by the picture, but the color combinations are awesome. I tried some new color combos and mixed some colors together (bright yellow and chartreuse) to see what would happen and boy, did the colors pop! In the fabric mix today I dyed my regular cotton, three different weights of linen, doilies, Aida cloth, trim, rick rack, lace, and my favorite mixed media technique item - cheesecloth. Tomorrow is ironing day, so when the ironing is done - I'll post more pictures. Just had to tease you a little bit today!